As German hot dog and sausages suppliers in the UK we import a great variety of products (see here and here). If you take a look at our brochure you would see we're not short of different types of frankfurters, hot dogs and sausages. It can all get a little confusing... let's have a look at each of the different types. What's the Difference Between Frankfurters, Sausages & Vienna Hot Dogs? That's right. Many people get confused between the different types of products. Is a Vienna hot dog a frankfurter? Is a frankfurter a Vienna frankfurter? Is a Vienna frankfurter a Vienna hot dog? Is a sausage a hot dog? Is a hot dog a frankfurter? Yes, we can see how it can make some people go crazy. Especially when you need to cater for a particular customer and can't comply with demanding questions. Some customers can be very picky about the origin of their products as well as the actual type of sausage down to the nitty gritty. Someone might ask you for a Vienna hot dog expecting you to know everything about this sausage; it would help the conversation as well as your reputation and authority in the subject matter. Also worth nothing that in different parts of the world the same product could have a different name. For example, 'hot dogs' have been popularised in the US. In parts of Europe they would call frankfurters just 'German sausages' and in Germany the term 'hot dog' is not really used. So, yes, we can see how it can all get a little confusing at times. In Vienna these are called simply 'frankfurters' while in Germany they are called Vienna frankfurters to distinguish them from the German ones (Wiener Würstchen). Vienna is also packed with sausage stands and we highly recommend you try them if you visit the place. For all things Vienna, make sure to visit this page! And for those of you who want to add the word 'Wiener' to the equation, we suggest you read from this source. In Germany the 'frankfurter' is the sausage made in Frankfurt. It all makes sense... right? A sausage is a product that combines certain meats and spices.They can be smoked, cured or fresh. Pre-cooked sausages are very popular and easy to handle. For more information on the different types of sausages we suggest you visit this site. A hot dog is a frankfurter or Vienna frankfurter in a bun. So the term 'Vienna hot dog' would technically mean a frankfurter made in Vienna placed inside a bun. So, the moment we put the product between the 'two bits of bread' it becomes the popular 'hot dog'. The term 'hot dog' is more associated to the US than to Europe. Germany and Austria have played a mayor role in the birth of the hot dog. 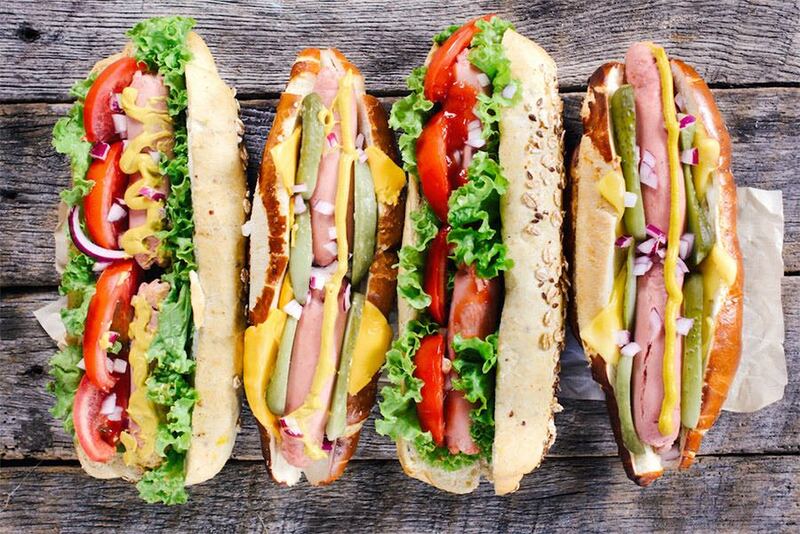 Have a look at our article on the history of the hot dog. See if you agree! Since we're on it, what's the difference between Halal and Kosher frankfurters? The difference between the Halal hot dogs and the Kosher hot dogs depends on the way in which the animals have been slaughtered. Kosher would proceed according to Jewish laws, while Halal would proceed according to the Islamic laws. Basically both sausages would be produced depending on the different religious guidelines. We have also answered this question here. We hope this clarifies some of the questions, but we're happy to answer any other questions you may have regarding this confusing-for-some issue! Previous Post Vienna Beef Wholesale from The Sausage Man: Attractive Prices! Next Post Mini Vienna Hot Dog: The Ultimate Party Sausage!